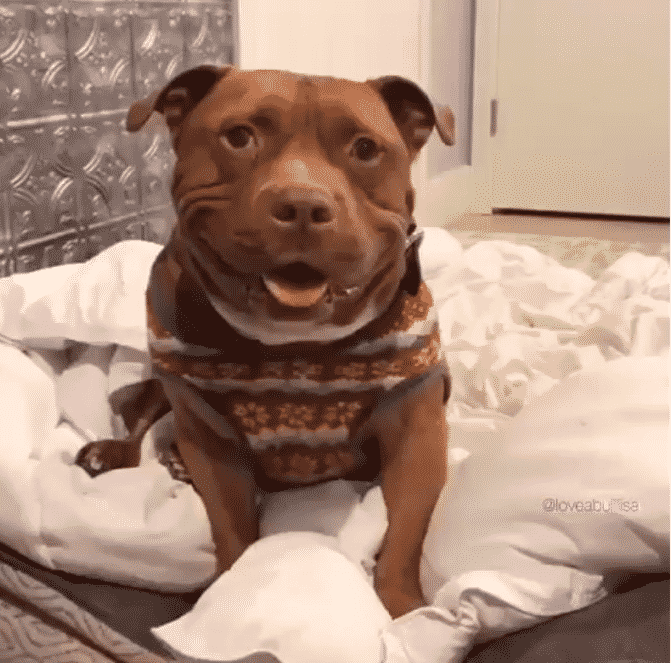 Have you ever seen a dog smile out of pure happiness? 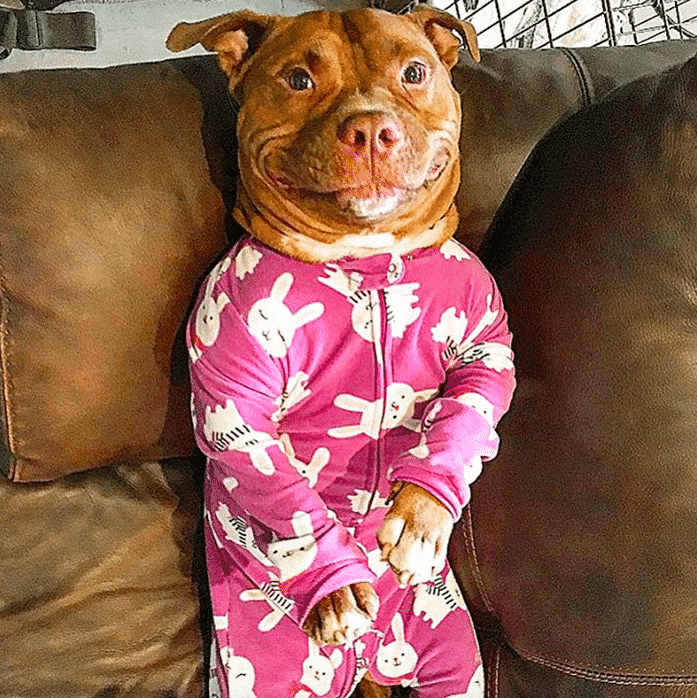 Well, if you haven’t, you’re about to see the sweetest smile of them all. 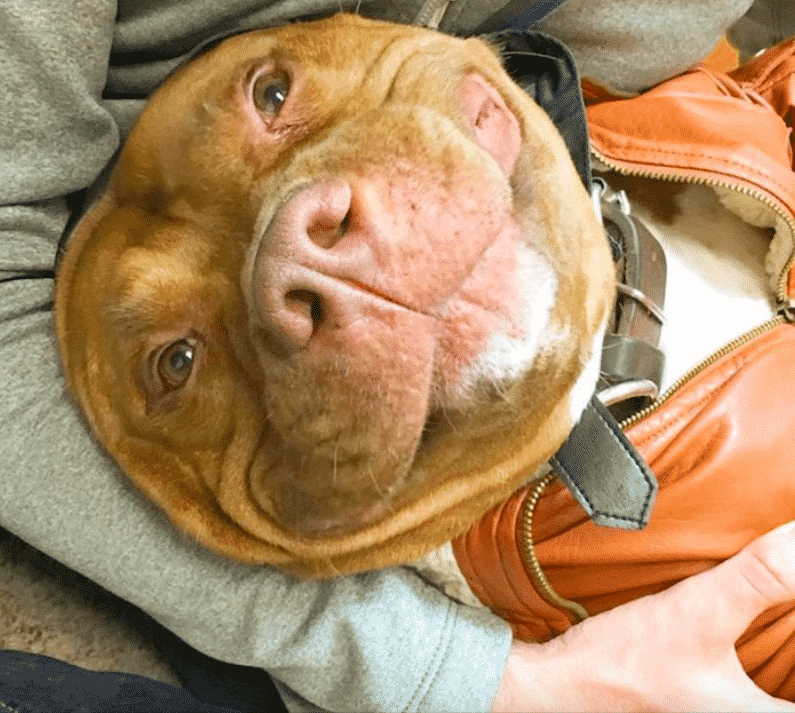 This pooch was the saddest dog at the shelter and no one could lift up his spirits. Then, one day, he found out he was being adopted. 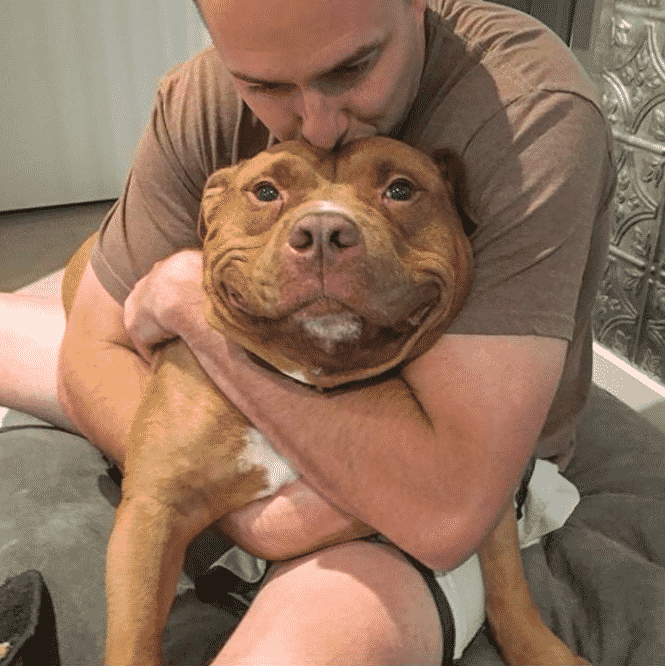 Ever since then, this sweet dog hasn’t been able to contain his happiness! 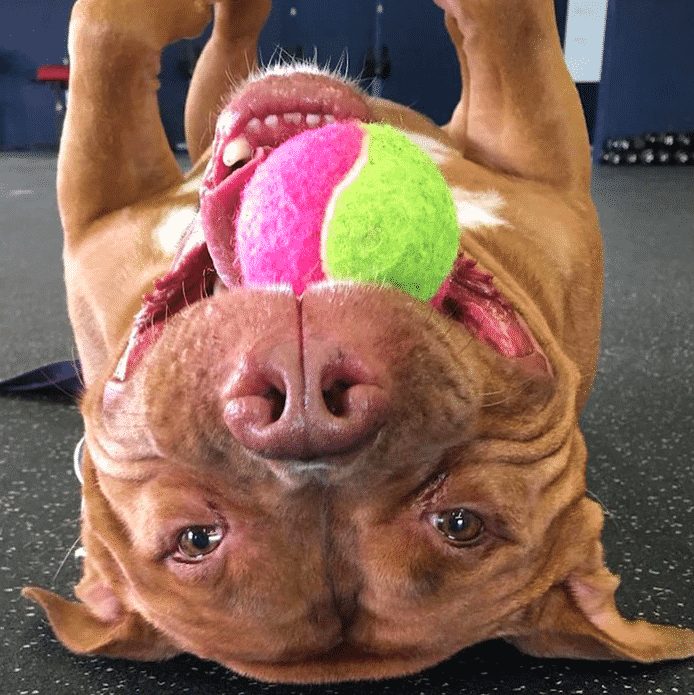 Meet Meatball, an adorable pit bull mix. 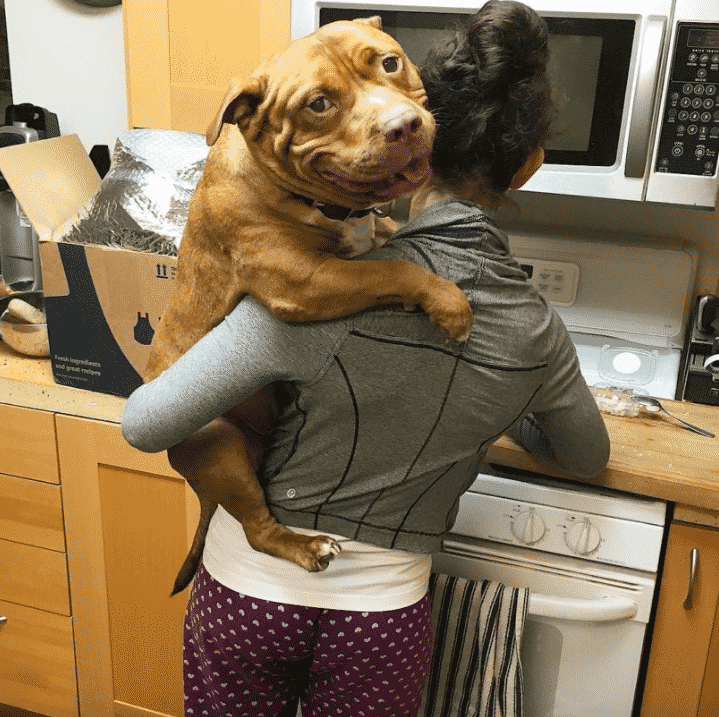 Around two years ago, Meatball was just another number in a shelter. He was miserable and just wanted the love of a family. Seeing how miserable he was at the shelter, the staff got to work. 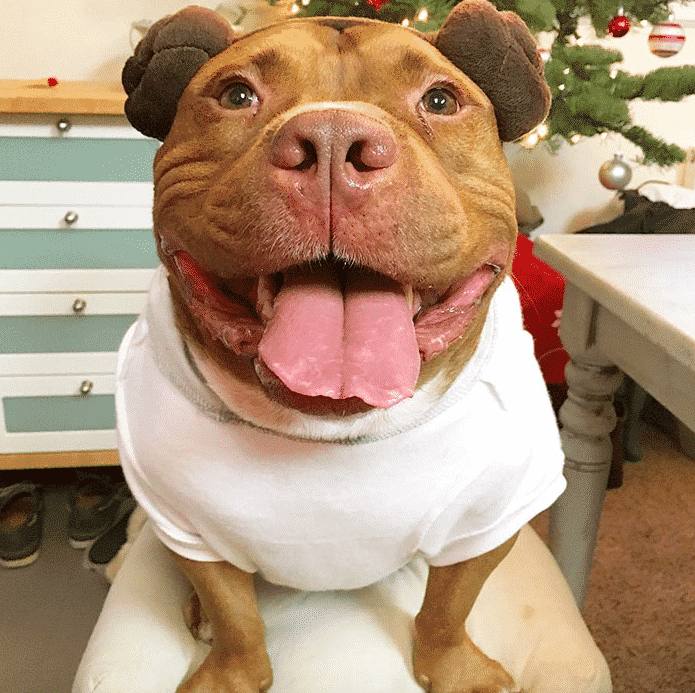 They quickly made a social media post about Meatball and uploaded the cutest photo of him ever. That was when he caught the eye of someone special. Lisa Reilly first saw Meatball on a post made by Fresno Bully Rescue. 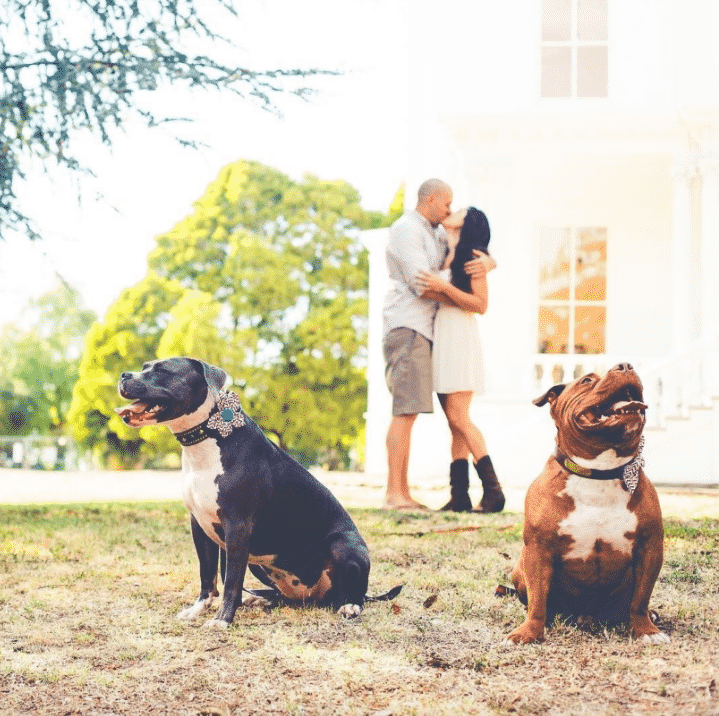 Reilly recently lost her senior pit bull rescue named Kitty. She was still mourning his passing away but knew that she needed a new pup to fill the void in her heart. 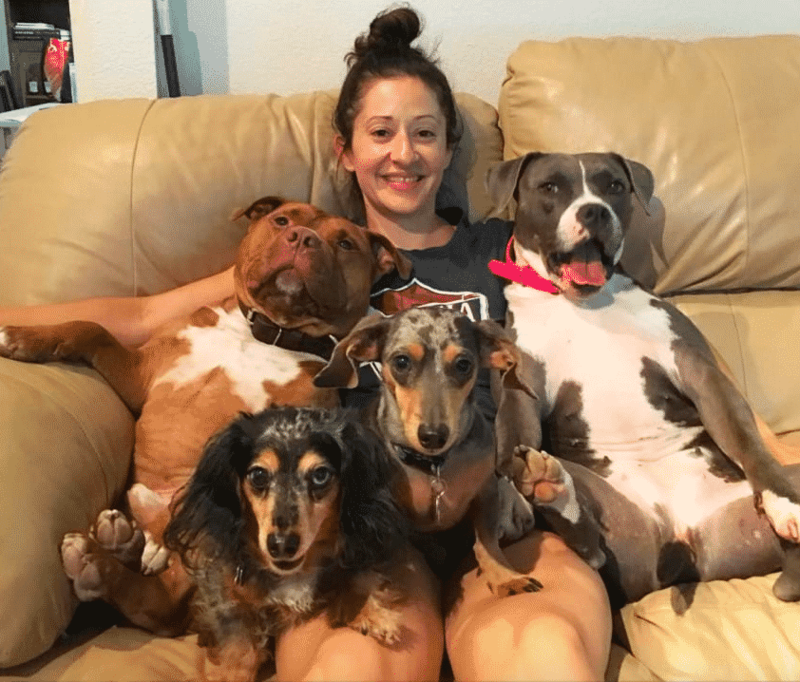 When Reilly arrived at the shelter, she immediately told staff about the dog she was looking for. They then brought her over to Meatball, who was laying out in the sun having a good tan! She knew he was the one from then on. That same day, after spending some time with Meatball, Reilly was able to bring him home. However, he still didn’t have an actual name when she met him. So she was the one that ended up naming him Meatball and you won’t believe how she thought of it. “He literally just looks like meatball,” Reilly said. 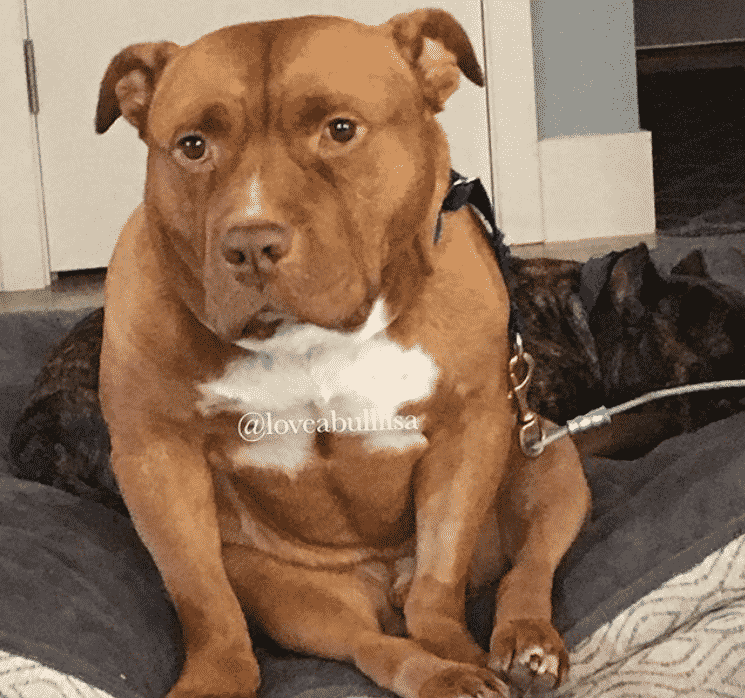 “He has no neck and he has no waist.” Reilly was also incredibly thankful to the shelter that did a great job at taking care of Meatball until he made his way to his forever home. “Fresno Bully Rescue did a great job nursing Meaty from the first time I saw him until I was able to bring him home,” Reilly tells The Dodo. The first few days at the home weren’t as easy as Reilly expected them to be. 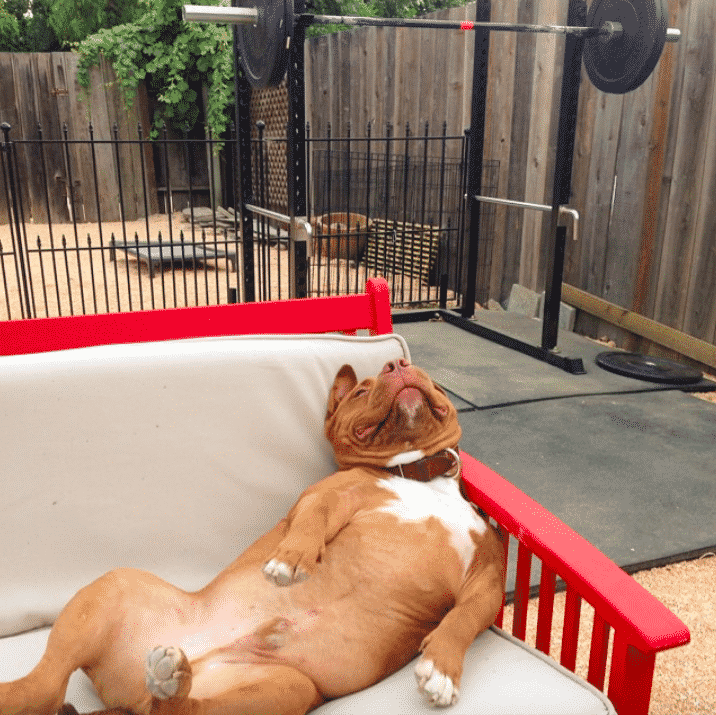 Meatball had a lot of training to go through. As time went on, however, Meatball began to adjust to life in his new home. That was when his true personality began to shine. Reilly immediately noticed that Meatball was a star when the cameras were pointed in his direction. 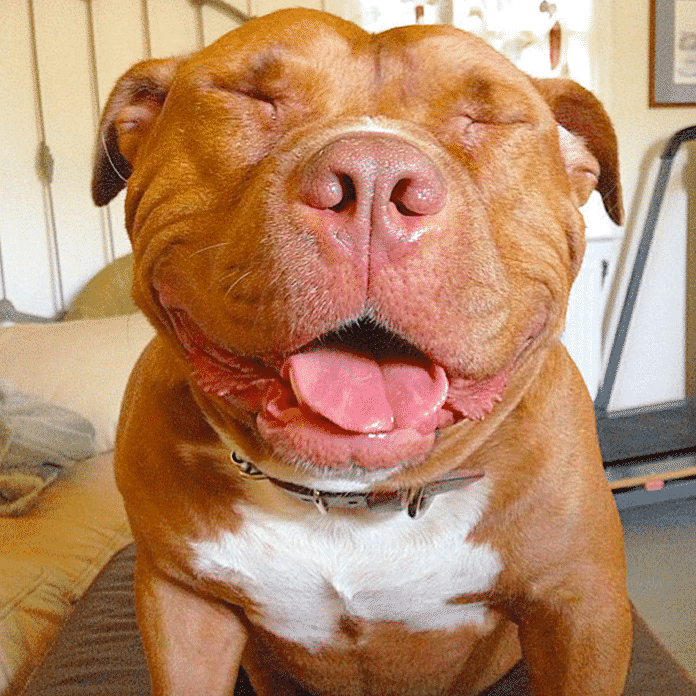 “As soon as the camera turns on, he just gets this huge grin on his face,” Reilly explained. 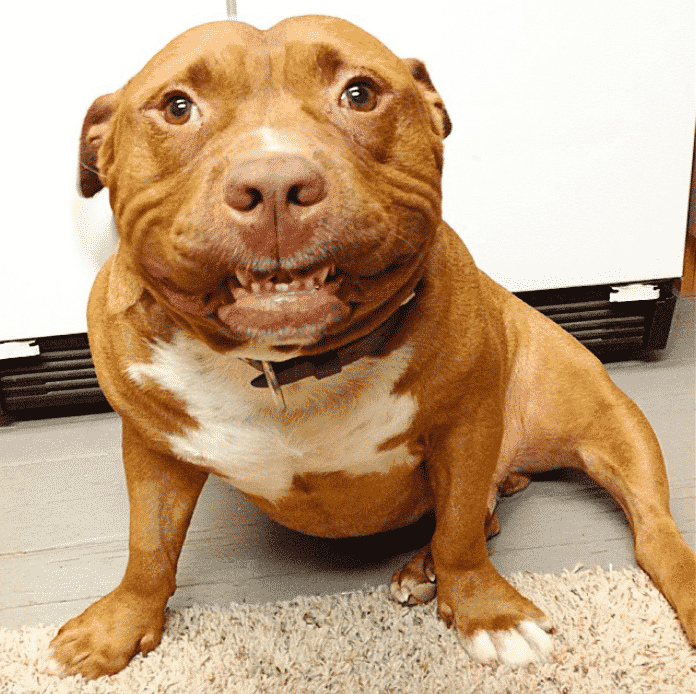 Meatball loves smiling for the camera and he is very happy to be at home with his new family. Even though, at first, he wasn’t the easiest roommate to bunk with! Thanks to his smiley nature, Reilly decided that the whole world should smile back in return. 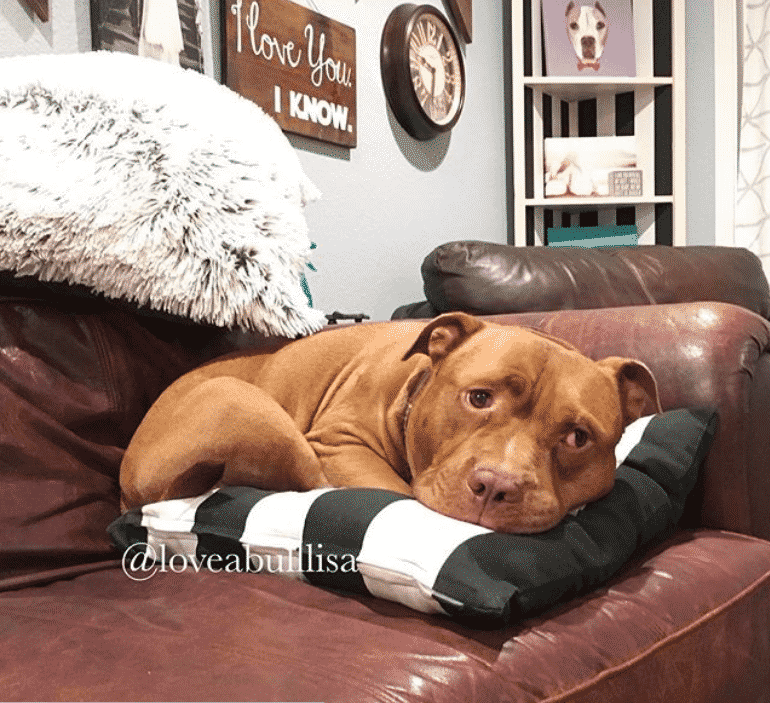 So she created an Instagram account @loveabulllisa where she uploads daily photos and videos of Meatball. You won’t believe how many followers the account now has! 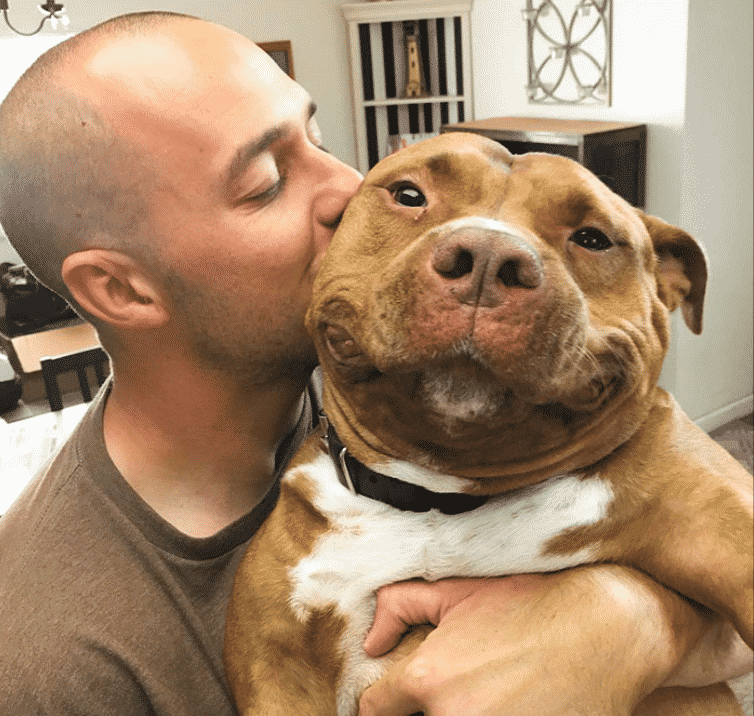 Meatball’s grin has earned him a spectacular 140k followers on Instagram. People just can’t get enough of his smiling mug. He really does brighten up everyone’s day. “When he’s not on the job, he literally only has two speeds: completely comatose or crazy,” Reilly says. However, Reilly also states that Meatball is a serious mama’s boy. He absolutely loves spending time with the woman that saved him and brought him home. 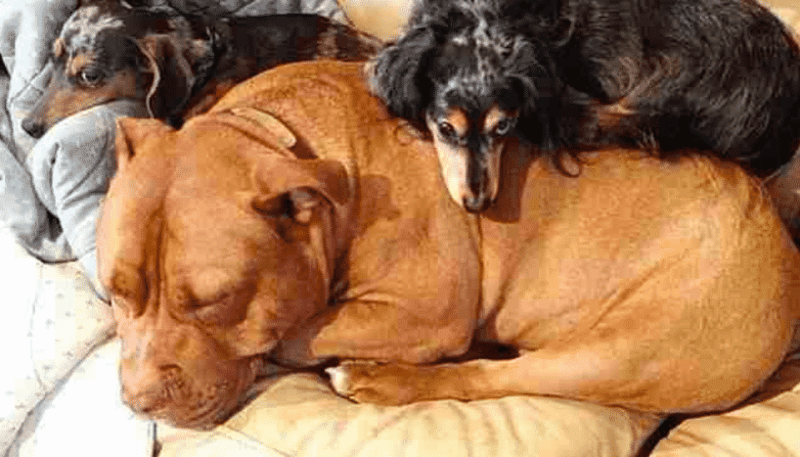 Reilly also states that Meatball gets along great with his other siblings in the house. She often uploads the sweetest photos of them all huddled up and cuddling together. 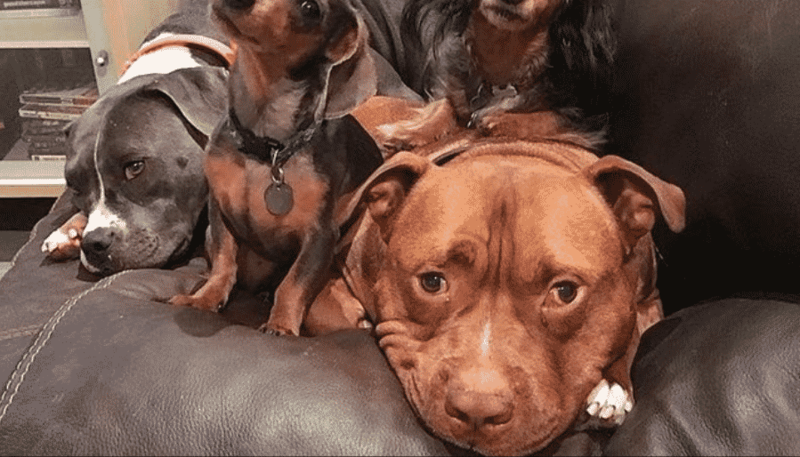 Meatball was truly the missing piece in the family. 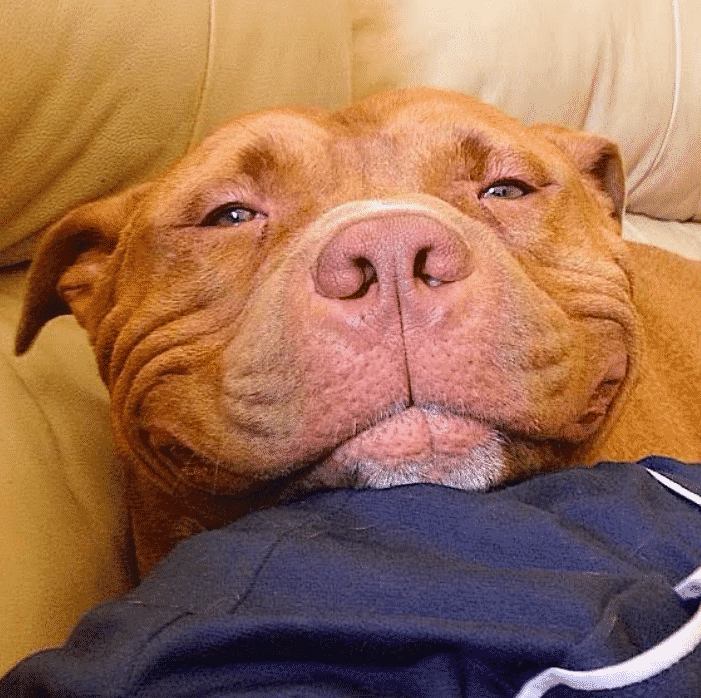 Meatball’s sweet, smiling face has earned him some pretty dedicated followers as well. Fans often comment on how Meatball’s face brings a smile to their face instantly. Talk about making the world a better place! 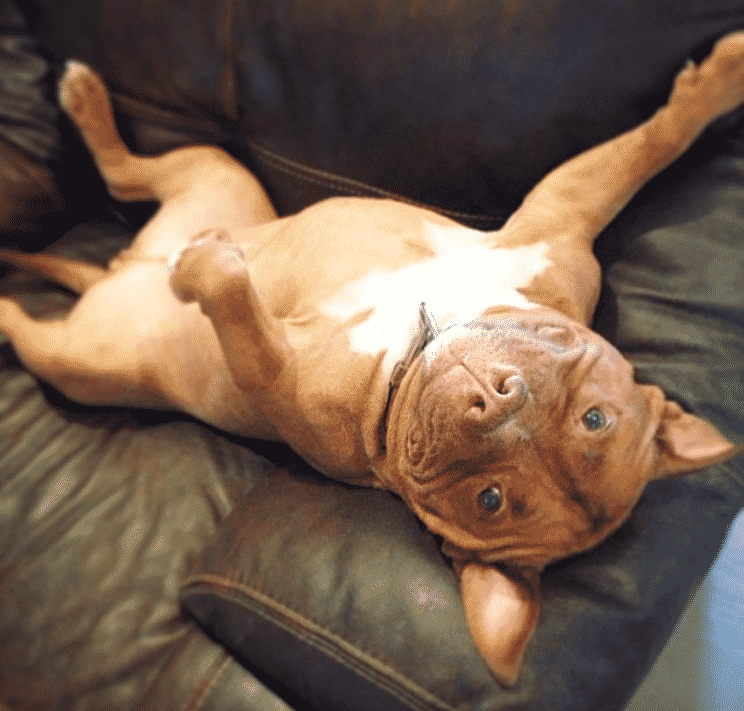 It is insane to think about how different Meatball’s personality was at the shelter as opposed to his new home. 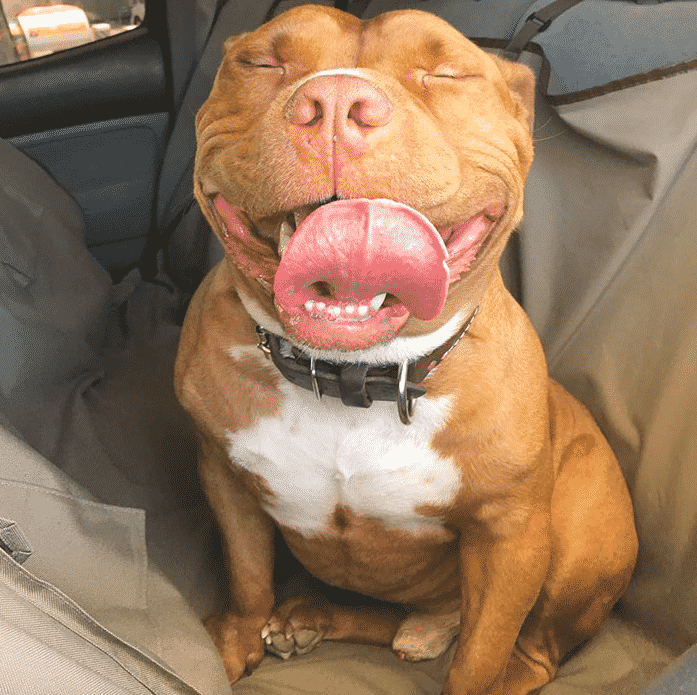 Now Meatball is all smiles and he is forever grateful to his mama Reilly who truly saved his life!